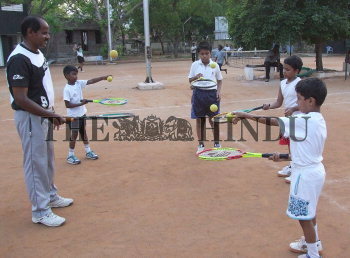 Caption : TIRUCHI:04/05/2010: Youngesters undergoing training in tennis in Tiruchi on May 04, 2010. PHOTO:R.M. RAJARATHINAM.